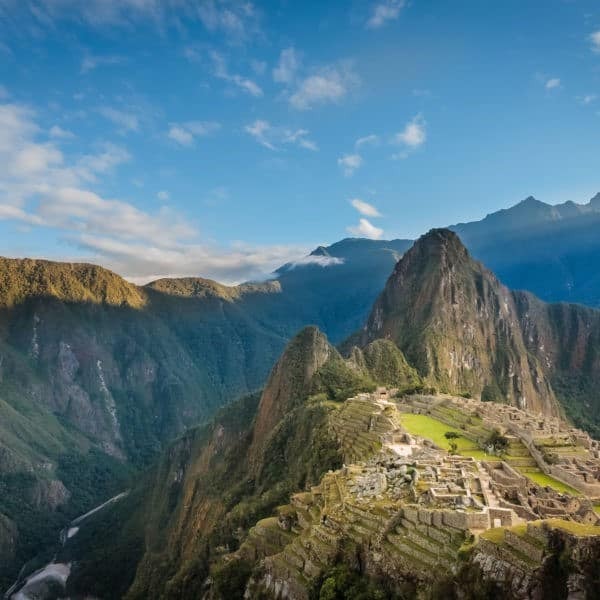 INCA TRAIL PERMITS SOLD OUT? Andean Adventures to choose from! authentic. The Trek was stunning and seemed so remote." 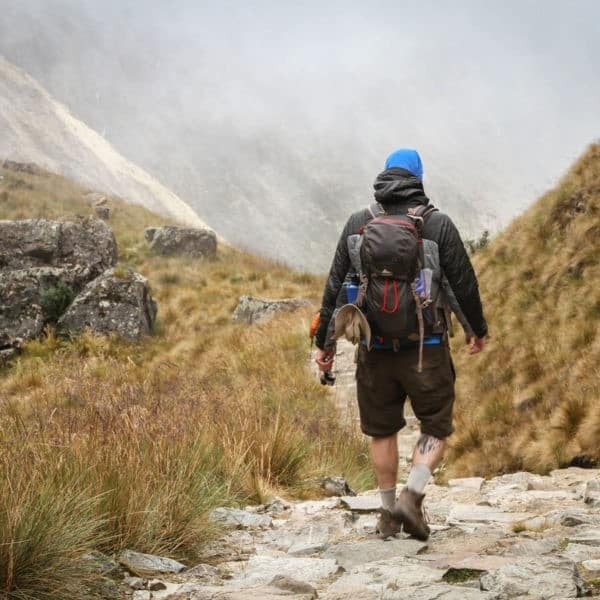 We offer carefully crafted treks that capture the spirit of discovery we feel every time we venture out into the Andes. Like slow food, we advocate slow tourism. Take the time to absorb, enjoy and savor the experience of exploring new places. 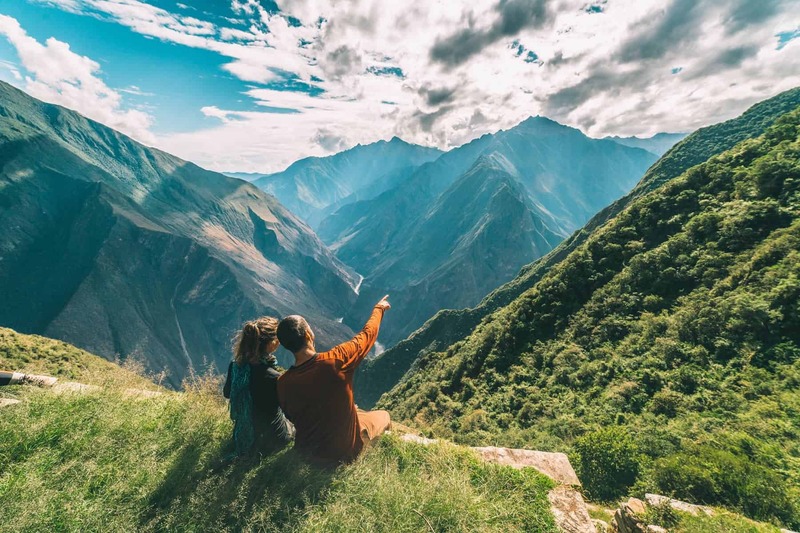 Leave the crowds behind and connect with the REAL Peru! 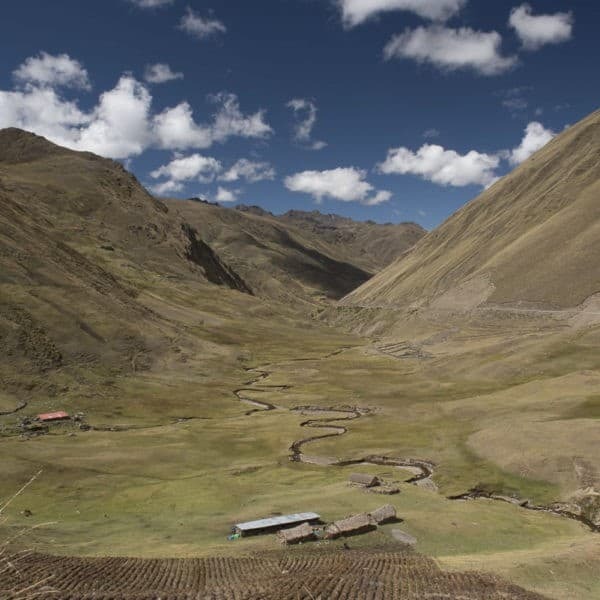 Apus Peru specializes in sustainable, unique trekking experiences in the Andean region. We explore places no one else goes! Private treks depart any day, or join a group listed on Trekkers Wanted. 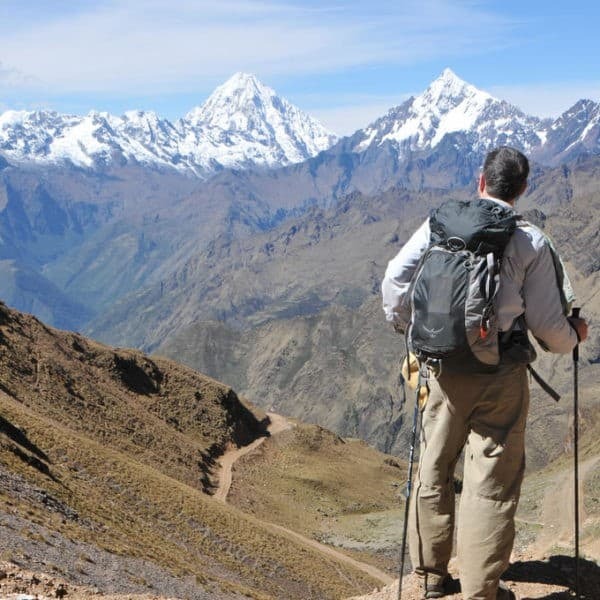 Routes feature Ausangate, Ancascocha and Choquequirao, and our cultural treks combine attractions such as Machu Picchu, the Inca Trail and Salkantay with seldom-visited ruins, remote indigenous communities, festivals and more. Tours in the Sacred Valley and Cusco are available, along with added travel in Arequipa, Lake Tititcaca, Lima and more! I would never have known that there were so many different cultures and ruins in this area near Cusco. Fascinating! Apus Peru went above and beyond all expectations in all elements and staff. Amazing route. Just enough challenge, and a lot of fun. The views are magnificent and I loved the fact that it was so remote. Absolutely recommended! Trip of a lifetime! Email responses were very fast and provided great advice. We were looking for something different than the standard tourist trips and we found it with your agency. We really appreciated the environmental care and the support to local indigenous communities. We were really pleased to be able to support a small, locally based company and help the local economy. To be interacting with the villagers and learning a whole new way of living in such a remote place really did expand our understanding of the hardships these communities live, but also the wisdom of their traditional ways. It was such a luxury to have such great service-wake-up tea service in our tent, our tents were set up and waiting and great food. I had a wonderful experience with Apus Peru and would recommend them to other trekkers. Joel was an excellent guide, and I was amazed by Herbert’s cooking skills and the quality of the food on the trail. The route was challenging but very well worth it, and I will always remember the wonderful experience I had with our team. The toughest but at the same time most amazing trip I have done. 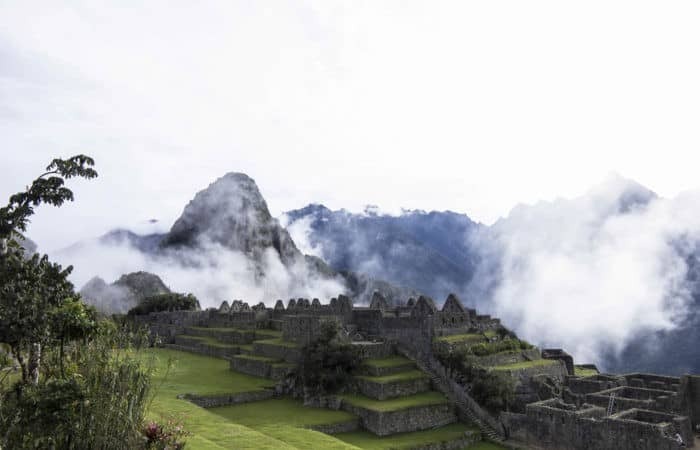 A wonderful way to really see a country and Apus Peru made it all really easy. We had a great experience and felt safe and well taken care of and saw amazing sights! Also like Apus Peru´s concern for the local people! The highlight of the trek was talking with the guide, cook and porters to experience the culture. I will definitely recommend your company to any friends who plan to visit Peru. The meals were excellent, the best food I had in Peru! Arturo was extremely knowledgeable about every aspect of the trip (botany, history, culture, everything.) He could easily answer every question we had, we learned so much! The porters were such a good team and they seemed happy-this speaks well of you. I liked staying away from the crowds and meeting people in ways that were more personal and respectful. I also liked the efforts to work with local people to improve their lives. Homestay; roasting coffee, unbelievable bike ride…I´d highly recommend homestay to all clients – it was what raised the trip to 10/10. Really enjoyable. Would definitely recommend Apus Peru. Really enjoyed being in a small group. The whole family loved this trip – I liked the weaving, my husband the rock art, and my boys the downhill bike ride. Really enjoyed the sights, this was a very enjoyable day trip. We liked the Awana Wasi in Chinchero, and the rings at Moray. Rumira village was an amazing experience. I hope EVERYONE that does a tour with Apus Peru can do it! The kids loved the chocolate making, and I really enjoyed making my own pot. A very enjoyable day. Really glad we did the Salkantay trek vs. the traditional Inca Trail. Salkantay is amazing! The variety of food was beyond comprehension. The beauty alone of each meal, the color, the flavor…all done in a remote campground. The best part for me was sharing the route with the Qoyllority pilgrims. The noise, colour and rhythm of the dancers and musicians (who easily overtook us on some of the steepest sections) will always remain with me. Spectacular-off the beaten path, rugged, challenging, and AUTHENTIC. The logistics were handled very well. We never felt at a loss-this is very important. The most challenging and enjoyable trek I have ever experienced, with a staff we could trust absolutely. Urbano was fantastic, from the pick-up to the end. He was very outgoing, knowledgeable, helpful and encouraging on the long climbs. Every day offered numerous highlights. We did one side hike to a glacial cave-amazing! Good food in abundant quantity, both well suited to keep hikers on their legs and make them discover Peruvian products and dishes. I was not expecting such 5 star quality meals on a trekking tour. It was outstanding. I will definitely recommend others for Apus Peru. 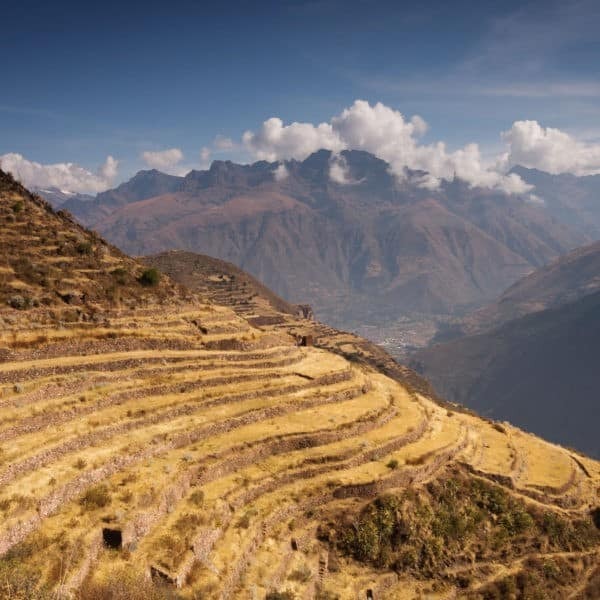 Outstanding-perfect mix of archaeological sites and modern life in Peru. Loved stopping at the elementary school.